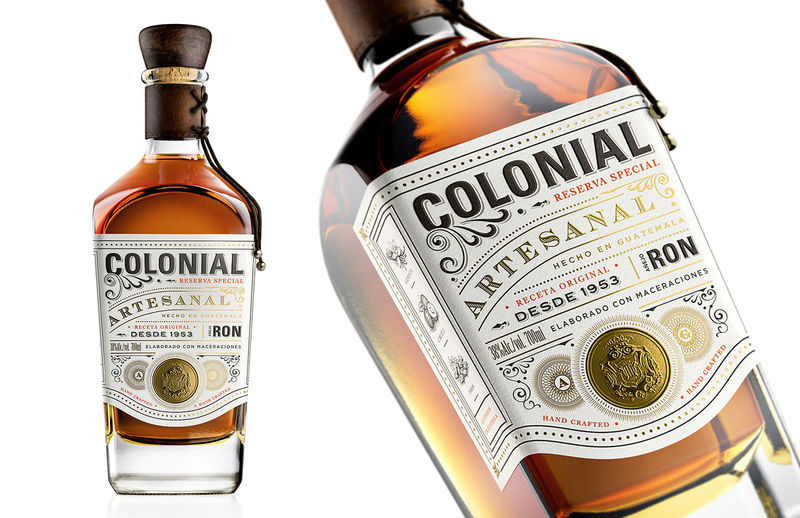 Appartement 103 has designed a new visual identity and packaging for the historical Ron Colonial. 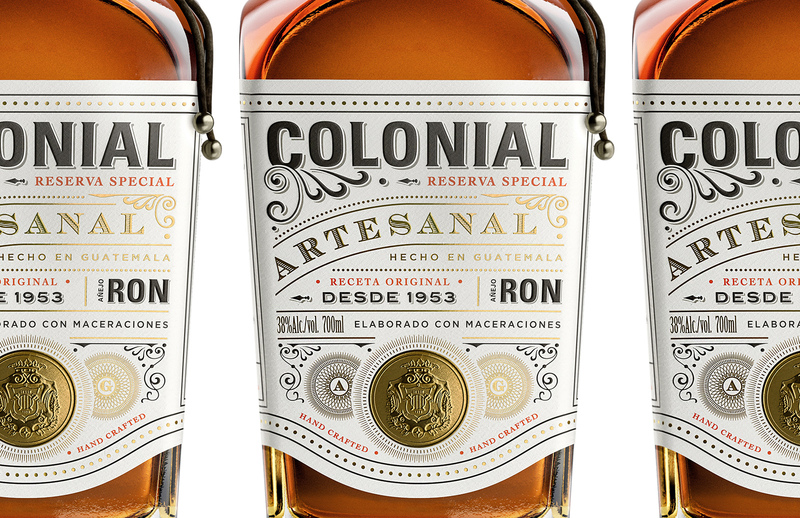 Born in 1953, in the heart of Guatemala, Colonial is an artisanal Rum that combines the exclusive process of Guatemalan rums and infusion of vanilla beans, fresh prunes and sun-dried raisins - all signature ingredients from the magical town of Antigua. 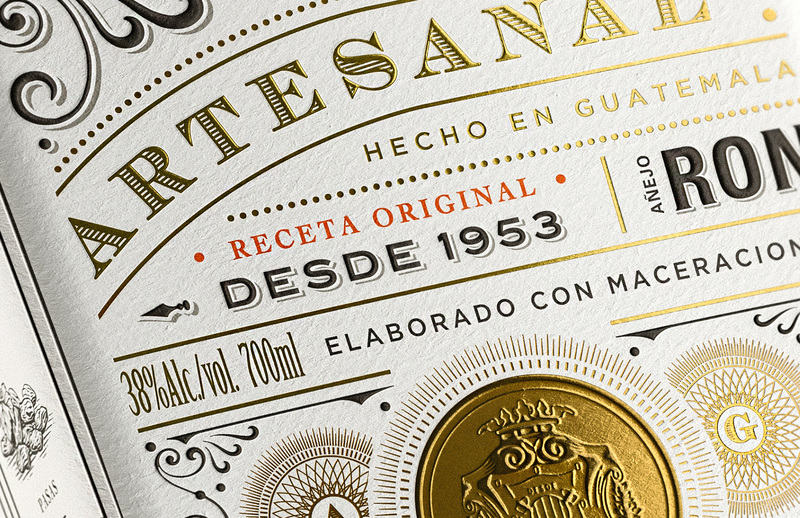 With an outdated image, Industrias Licoreras de Guatemala spotted the opportunity to reconnect the brand with its loyal consumer base while engaging with new ones. “With the objective to re-vitalise this iconic brand, Appartement 103's team had the privilege to visit Guatemala, being directly inspired by the city in order to create a visual identity that truly conveys the spirit of Antigua and its people.” Says Appartement 103’s Design Director, Marlon Watts. The intertwine play of graphic elements, illustrations and typography reflect the Baroque style of the 18th century preserved today as ruins which are found all around the city. The strong logo communicates the name with confidence and pride in its origins, while the different elements of the label express the quality and handcrafted appeal that makes this rum so special.